6 July 2014 I PREMIO TONINO ACCOLLA , Tonino was a famous Italian dubbing actor that died of cancer. This prize has been created by Arca Siracusa as an award for dubbing actors . 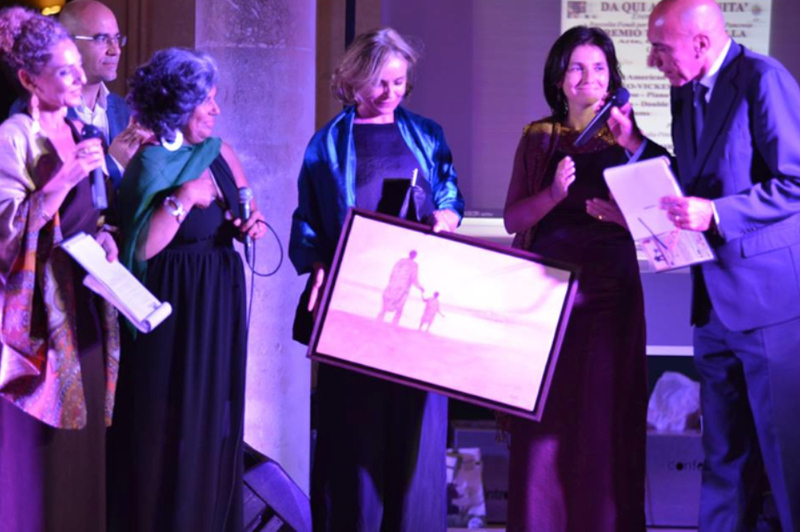 This photo shows the moment of the awards when the actress Galatea Ranzi receives the Prize, due to her professional career and her connection to Sicily. The painting given as the prize was called “A father & a son” to remember the stories of Tonino Accolla and Fabio Giambruno, who both died due to pancreas cancer. A.R.C.A was created to help with the investigation around this particular cancer.